Major ransomware (alternatively known as Bmps ransomware) is a new malware string potted in early April 2019. It focuses on money extortion by holding victims' personal files hostage. To achieve that, the virus enters victims' machines in a variety of different deceptive ways and scans the computer for pictures, documents, databases, videos, and other data. 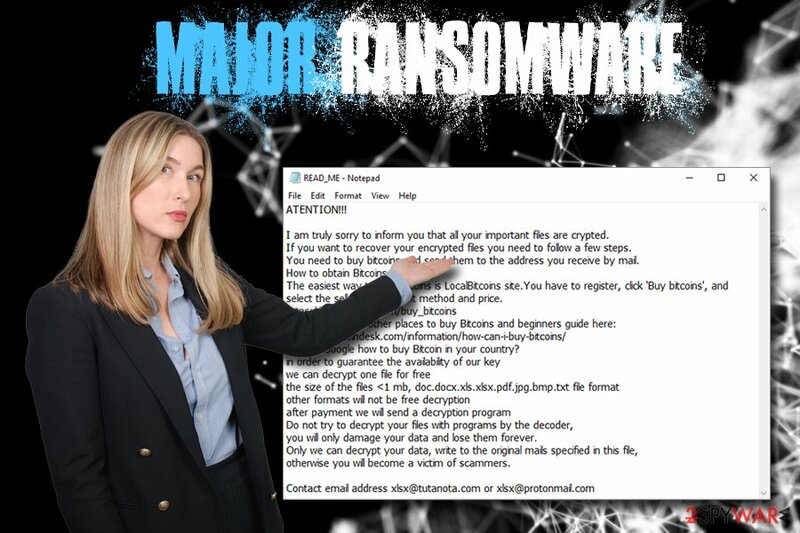 Once located, Major virus uses a combination of AES and RSA encryption algorithms to lock up files and then drops the ransom note READ_ME.txt, which explains to users that they need to pay Bitcoins to receive the decryptor. 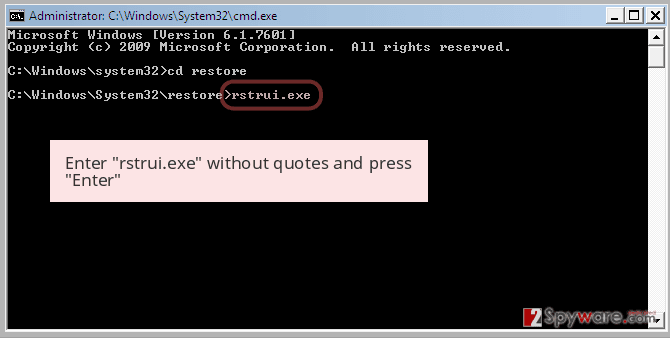 Malware uses two types of file extensions after the encryption: .major and .core. Nevertheless, a full appendix compiles from the following: [original file name]. [random number].bmps@tutanota.com.major or [original file name]. [random number].xlsx@tutanota.com.core. As usual, experts urge users not to contact cybercriminals and rather focus on Major ransomware removal, after which alternative recovery methods can be tried. Threat actors seem to be using the text from Xorist–TaRoNiS ransom note – it raises questions whether or not the developers are related in some ways. Therefore, users should be extremely careful when browsing the internet, as casual clicking on links or downloading unsafe files might lead to Major virus infection. You need to buy bitcoins and send them to the address you receive by mail. The easiest way to buy bitcoins is LocalBitcoins site.You have to register, click 'Buy bitcoins', and select the seller by payment method and price. you will only damage your data and lose them forever. otherwise you will become a victim of scammers. As you can see, hackers even offer a test decryption service, that would allow deciphering one file. 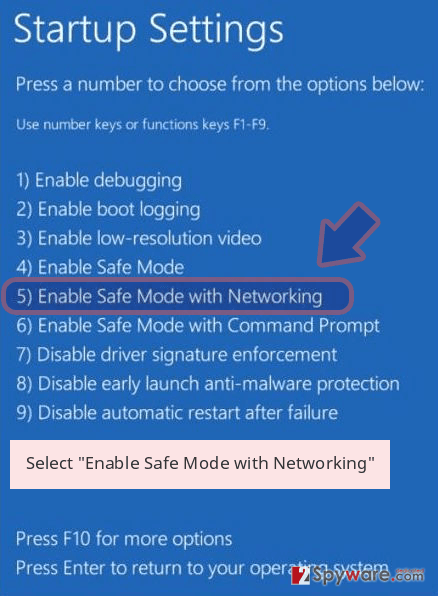 This feature has been practiced by malware authors for a while now, as it implies that you can trust them. Nevertheless, remember that these people are causing harm to your computer purposely in order to retrieve money from you. 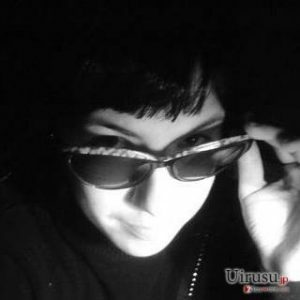 Do not trust them and rather remove Major ransomware with the help of reputable security application. 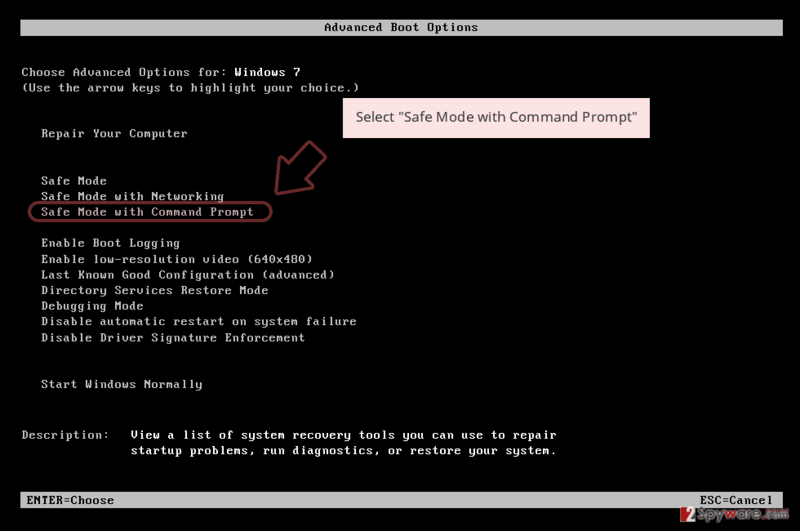 In some cases, you might have to enter Safe Mode, as Bmps ransomware might be tampering with the anti-malware tool. Only after that, you can attempt to recover your files using alternative methods or wait till the decryptor is released by security experts. 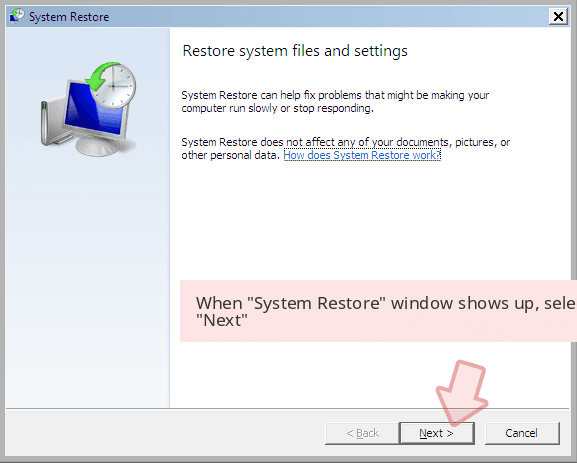 After that, we suggest you scan your device with Reimage to restore the system to its original state. Scan every executable you download from the third-party site with tools like Virus Total. Additionally, having backups ready will save you from all the trouble, and you will not have to contemplate whether or not to pay the ransom, which might then result in money loss, along with personal file loss. Ransomware is one of the most devastating computer infections, and it affects not only home users but also high-profile organizations, resulting in millions of dollars in damages. The problem is that even after you remove Major ransomware, the files will remain encrypted. And while many ransomware viruses are now decryptable thanks to the efforts of security researchers, there are still hundreds of infections that will result in permanent data loss. 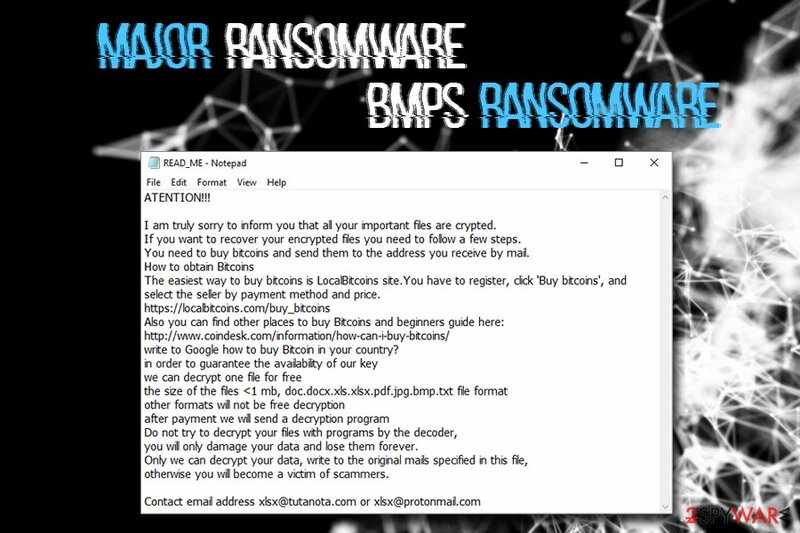 Nevertheless, after you complete Major ransomware removal (for that, enter Safe Mode and scan your PC with anti-malware software), you can try using alternative solutions that might help you recover files marked with .core or .bmps file extension. Please follow the guide below. Log in to your infected account and start the browser. Download Reimage or other legitimate anti-spyware program. Update it before a full system scan and remove malicious files that belong to your ransomware and complete Major removal. 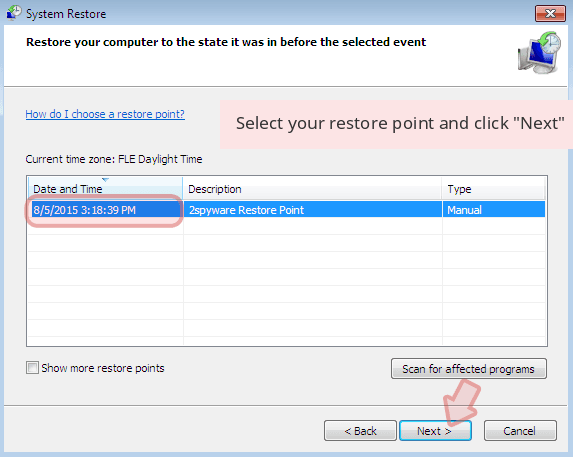 When a new window shows up, click Next and select your restore point that is prior the infiltration of Major. After doing that, click Next. Once you restore your system to a previous date, download and scan your computer with Reimage and make sure that Major removal is performed successfully. 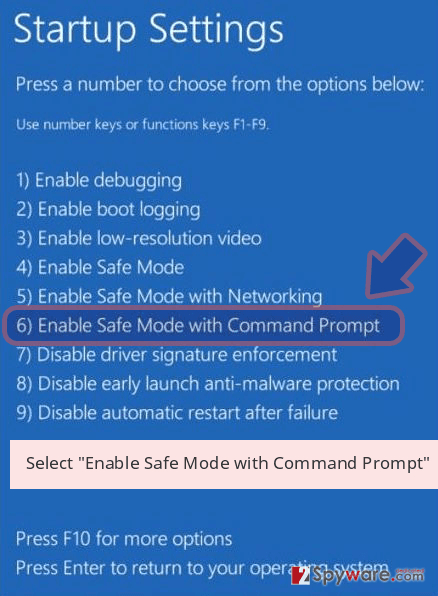 Guide which is presented above is supposed to help you remove Major from your computer. To recover your encrypted files, we recommend using a detailed guide prepared by 2-spyware.com security experts. This software is a professional tool that might be helpful when trying to decipher files affected by ransomware. 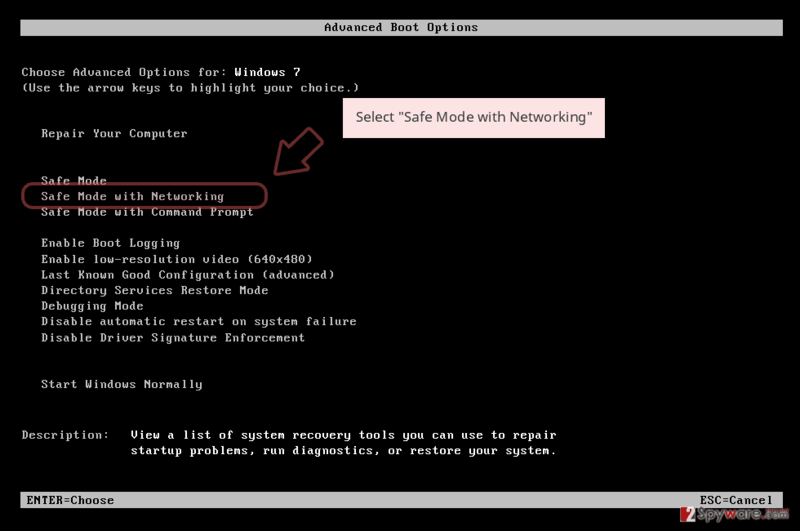 This method might be able to help you recover at least some files (note that it only works if System Restore feature was enabled prior to the attack). In case the virus fails to eliminate Shadow Volume Copies, ShadowExplorer is the program to use. No decryptor is currently available. ^ Michael Gillespie. #Ransomware Hunt. Twitter. Social network. ^ BedyNet. BedyNet. Cybersecurity experts. This entry was posted on 2019-04-09 at 05:20 and is filed under Ransomware, Viruses. You can quickly scan the QR code with your mobile device and have Major ransomware manual removal instructions right in your pocket. How did you remove Major virus?